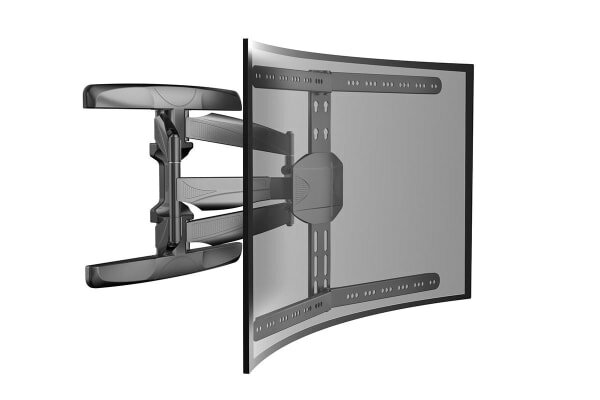 Even works with curved TVs! Get the best view from any angle with the Kogan Tilt Adjustable Wall Mount. 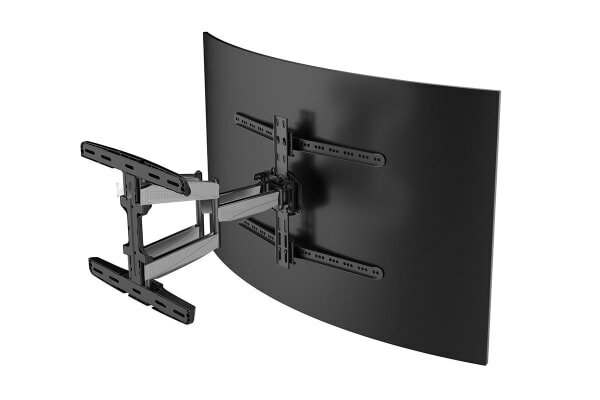 While this Kogan Tilt Adjustable Wall Mount lets your TV sit prettily almost flush with the wall at just 74mm away, it also gives you the flexibility to extend it to up to 514mm with a full swivel and tilt motion for 2-12 degrees! What this means is that you can view your flat or curved TV from anywhere in the room and from any angle! Please check your television manufacturer’s VESA specifications to confirm compatibility. This wall mount is able to be extended from the wall, enabling you to customise viewing angle. Extend and turn your TV to get the perfect view from anywhere in the room. 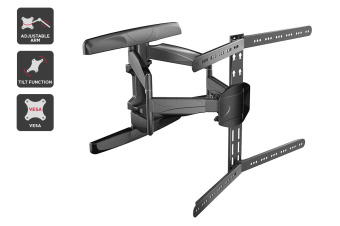 This wall mount is able to be tilted up and down to customise positioning and the viewing angle. Compliant with VESA mounting guidelines. When choosing a new wall mount, monitor arm or mounting solution, look for VESA mounting compliance to ensure the best support.